I am listening to Gloc 9 new songs titled "Magda," while writing this post. Magda is the carrier single of his album "Liham at Lihim." Gloc 9 released his album on October 26, 2013, under Universal Records. Like what his other songs, Magda has unique words that touches the heart of every listeners specially Pinay. You can try to listen this rap song on the embedded video below. With the collaboration of a song writer and vocalist Rico Blanco, Magda become more trilling and interesting to hear for me. According to video description, the chorus was sung by Rico Blanco, something that Gloc 9 was grateful for. Gloc 9 said, "Rico is one of the most talented singers we have right now, and even though I wrote the song, Rico is the only one who can sing the chorus the way he does and bring to the song his own uniqueness. Sobrang galing." 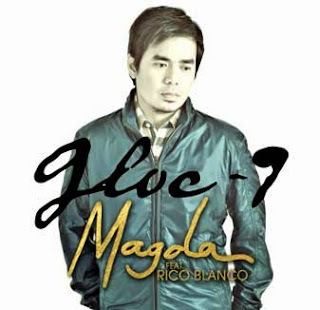 Please listen the new sound of Gloc 9 that will give you understanding about the real Magdalena. Gloc 9, you made another best album for all! The other songs in 'Liham at Lihim' album have also collaborations with Regine Velasquez-Alcasid, Quest, Marc Abaya, Zia Quizon, Kamikazee, Eunice of Gracenote, Denise Barbacena, and Sly Kane. Comments or suggestions about "Gloc 9 featuring Rico Blanco - "Magda" Lyrics and Video" is important to us, you may share it by using the comment box below.